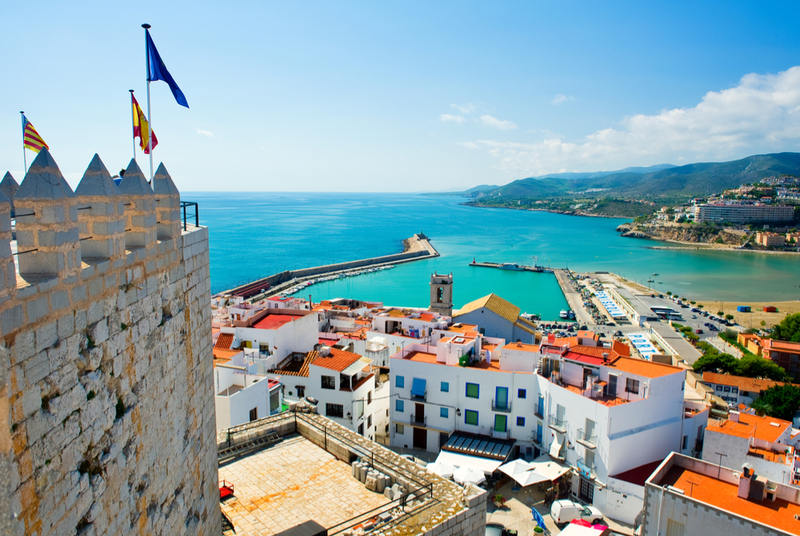 Spain is the holiday destination that has it all. Here you can bask on sandy beaches, fill up on fresh seafood and dance until dawn. 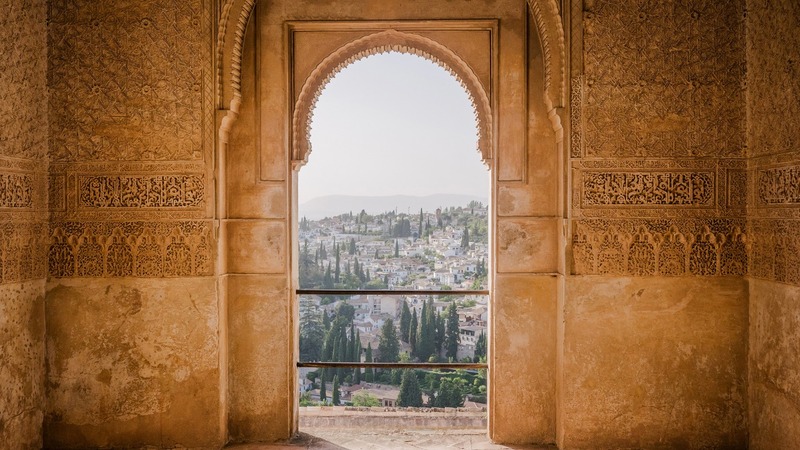 From lively cities to villages so sleepy you suspect they haven’t risen since Easter, and from sweeping white strands to towering green mountains, Spain is a place where exploration is always rewarded. It’s time to get off that sun lounger and discover the country. From the sparkling Mediterranean in the south to the wilder Atlantic coast in the west, even the fussiest holidaymaker can find their perfect resort on Spain’s costas. Peñiscola’s sweep of sands reaches round in a golden half-moon to a castle atop a promontory. It’s a fairy-tale setting, but that’s not all – this is also the region said to have the best langoustines in Spain. Feast on these at Casa Jaime on the seafront before taking a dip in waters so shallow you could wade for hundreds of feet before even getting your hips wet. Stay at: The RH Boutique Porto Cristo is just off the main beach and has an outdoor hot tub. Rooms are simply furnished and although your balcony won’t have a sea view, the terrace bar looks straight out across the water at the castle. Baiona may be the jumping-off point for the idyllic white-sand beaches of the Cíes Islands, but there’s more to this small resort than its ferries. You’ll find a couple of glorious sandy beaches and, one street back from the seafront, an alley of local restaurants lines up to serve delicious tapas – Galicia is known for the quality of its seafood. Stay at: You can’t miss the Parador de Baiona in the town’s fortress. The terrace has sea views and local wines, while rooms are traditional in style. As with most paradors, it’s not worth staying in for dinner – head out to those tapas bars instead. Sitges is where Barcelona (a mere 20 miles away) comes to let its hair down even further. 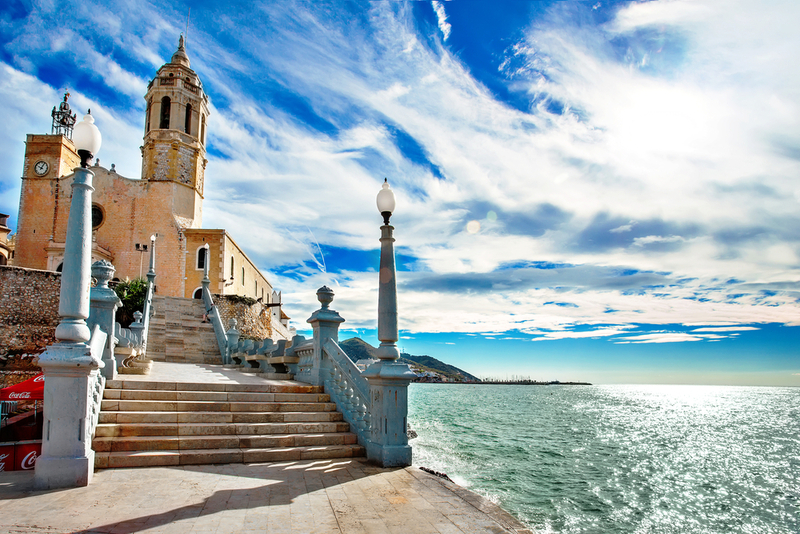 You won’t find peace and quiet here – Sitges is all about posing on the beach and dancing until sunrise. Known as one of Spain’s most LGBT-friendly resorts, it attracts a fun, cosmopolitan crowd and has an old town packed with bars and nightclubs. Stay at: Brand new Hotel MiM sits in the centre of Sitges, a minute or two from the beach, and has stylish rooms, a serene spa and the rooftop Sky Bar. Some of Spain’s greatest hits are not on the mainland. The Balearic Islands in the Mediterranean tempt visitors with beautiful walks, beaches and local produce while the Canary Islands, off the Atlantic coast of Africa, offer volcanoes, lush forests and a year-round warm climate. The largest of the Balearic Islands is home to one of Spain’s top cities: Palma. After a day spent relaxing on the beach or looking out from vast La Seu cathedral on a rooftop tour, hit the tapas trail or dine in style at Michelin-starred Marc Fosh. There's an exceptional art scene and top-notch food, too. The Tramuntana mountains lie just north. Take the charming wooden train through the olive, lemon and orange groves to Sóller for mountain scenery and fresh orange juice. Stay at: Book a room at Cap Rocat, an imposing old military fortress that is all chunky stone ramparts and roof terraces with views across Palma Bay. Stay in for lunch at the Sea Club to dine on local fish al fresco and make time for a massage – the Ayurvedic treatments here are superb. Don’t listen to anyone who tells you Tenerife isn’t classy. This sun-drenched Canary Island has gourmet restaurants, 5-star hotels, fabulous beaches and a volcano at its heart. Mount Teide is the highest mountain in Spain at more than 12,000 feet – it’s well worth rising before dawn to reach the summit for sunrise. You’ll have to walk from the refuge though – the cable car doesn’t start until 9am. 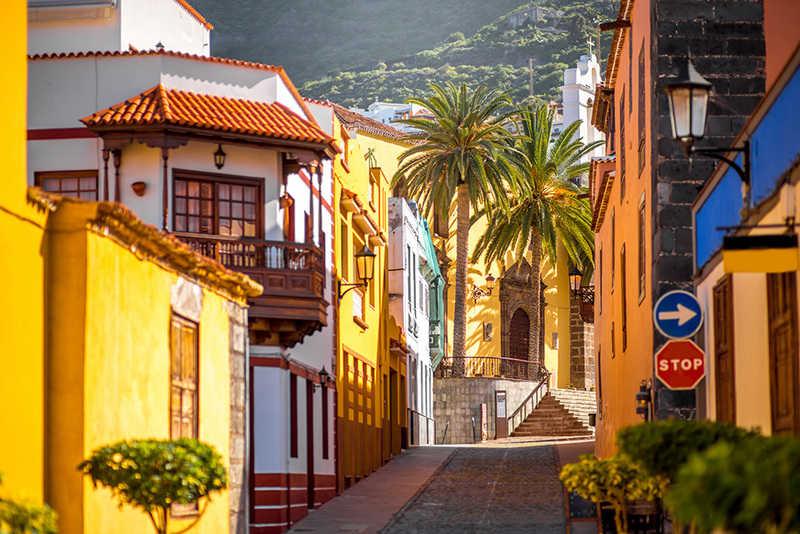 Read our full guide to Tenerife here. Stay at: The super-luxury Red Level at Gran Melia Palacio Isora has huge rooms with sea views, an exclusive adults-only pool and hot tubs overlooking the Atlantic. It’s a short drive from here to the island’s best restaurant: the ultra-creative El Rincón de Juan Carlos. Spain has soporific towns aplenty, and across the country you’ll find quaint places where the streets are cobbled, the plazas are untouched by modern architecture and the castle is the tallest thing for miles. 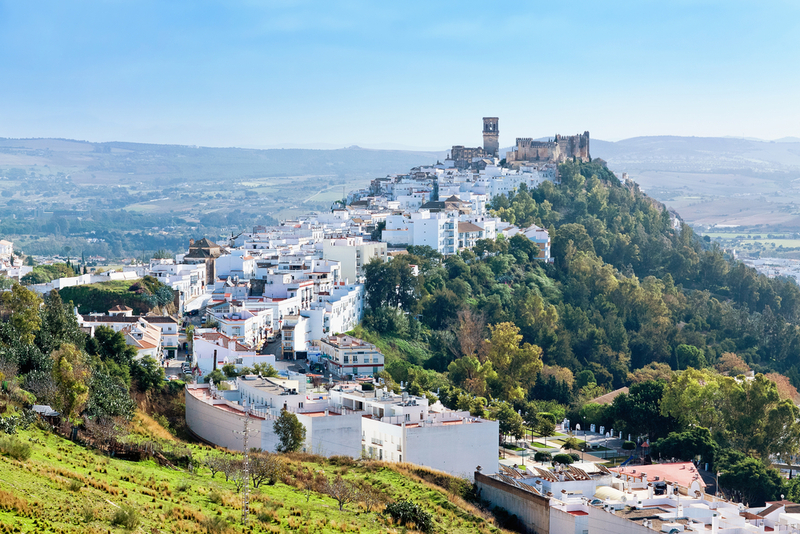 Andalucía is awash with ‘pueblos blancos’, the picturesque white towns this southern region is famous for. Arcos de la Frontera, though, is extra special, balanced on a limestone ridge facing straight down a sheer cliff into the Guadalete river. Its web of streets leads up to an imposing castle, where there are eye-popping views across the plains. Stay at: The typically Andalucían Hotel Los Olivos is all white-washed walls and terracotta tiles, arranged around a central plant-filled courtyard. Rooms are simple, and some balconies have incredible views. Matarraña is a largely unknown but utterly spellbinding region of hills, vultures and medieval villages. Valderrobres is the most beguiling of all, its 14th-century castle presiding over one of the country’s finest collections of Gothic buildings. Cross the raised stone bridge into town to check out the 16th-century church of Santa María la Mayor before taking a wild swim in the Matarraña river. Stay at: Just six miles outside the town is the wonderful Torre del Visco. You can learn to slice jamón here, as well as tuck into suckling pig and local fish. Rooms are luxurious and there’s stargazing on the terrace after dark. 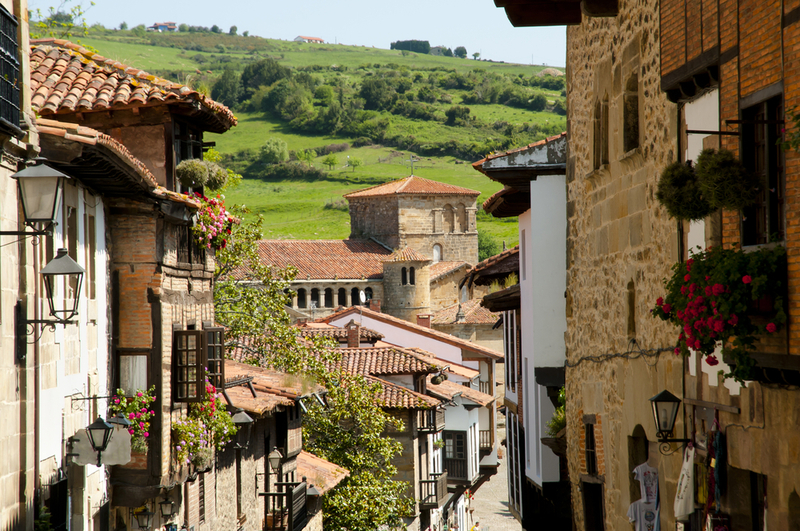 Medieval defence towers and Renaissance palaces make Santillana del Mar stand out, but it’s the town’s romantic atmosphere that really gets under your skin. Flowers bloom from balconies, winding streets run from museum to tapas bar and everything is warm stone and terracotta. Just outside town are the world-famous Altamira Caves, UNESCO listed for their striking cave paintings. Stay at: Hotel Altamira is housed in a 17th-century building in the heart of town and has a café terrace on the main square. Rooms have stone walls, wooden floors and antique furniture. Spain has two main cities – Barcelona and Madrid – and it’s impossible to choose between them. Best, then, to make time for both. Here's our full guide to the top Spanish cities to visit. Spain’s capital is home to several of the country’s best art museums. If you only have time for one, make it the Prado, where European art from the 12th century onwards is on display. But the city’s real buzz is found in its bars, which are said to number more per capita than any other city in the EU. Take a stroll around Chueca for some of the best. This is the city’s main LGBT neighbourhood, and all are welcome in the lively bars and on the pavements between them. Read our full guide to Madrid here. Stay at: Choose the VP Plaza España Design for an unbeatable location on the Plaza de España, right in the heart of the action. There’s an outdoor swimming pool, a nightclub and the 12th-floor Ginkgo Sky Bar, which offers 360° views over the city, including of the Royal Palace. Gaudí made Barcelona gorgeous. 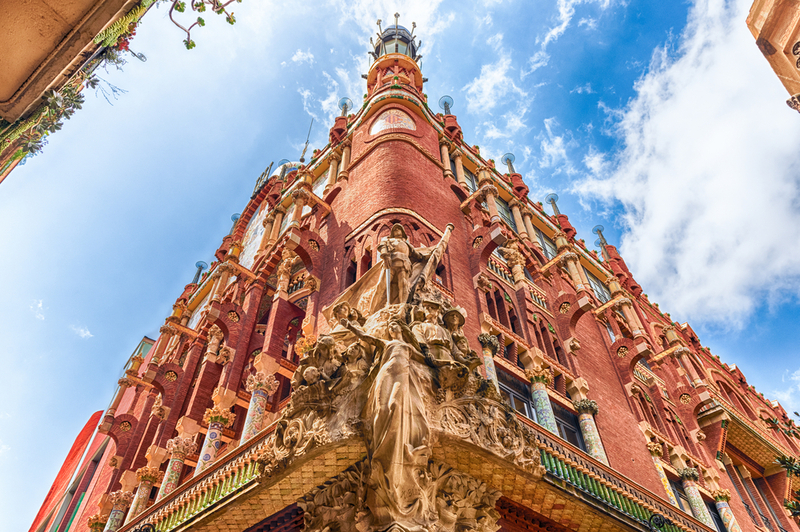 From the mesmerising tilework at Parc Güell to the soaring masterpiece that is the Sagrada Família, this Catalan architect is rightly celebrated across the city. As is the food, and Barcelona is home to one of Europe’s best produce markets: La Boqueria. There’s creative tapas here at Bar Pinotxo, while fantastic seafood can be found down on the beach at Barceloneta. The city is also football mad and FC Barcelona fans will get a kick out of the Camp Nou stadium, where the tour includes a walk on the pitch. Read our full guide to Barcelona here. Stay at: The luxurious Hotel Arts by Ritz-Carlton is located in one of the city’s tallest buildings, and many rooms have fantastic views of both the city and the Med. There’s also an outdoor pool right beneath Frank Gehry’s El Peix, a giant golden fish sculpture. It’s not only Gaudí who’s made an impression on this city. This interactive map has all our picks for the best places to visit in Spain.